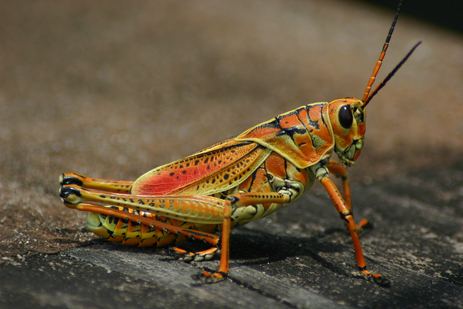 The grasshopper is an insect of the suborder Caelifera in the order Orthoptera. 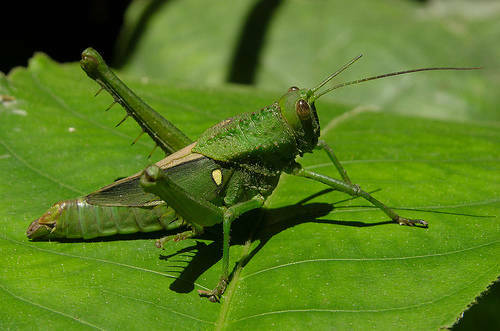 To distinguish it from bush crickets or katydids, it is sometimes referred to as the short-horned grasshopper. 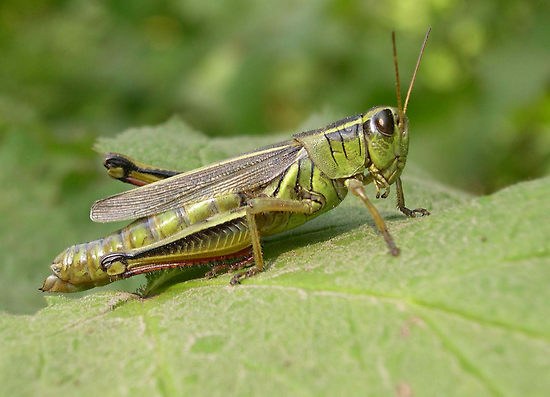 Species that change colour and behaviour at high population densities are called locusts. 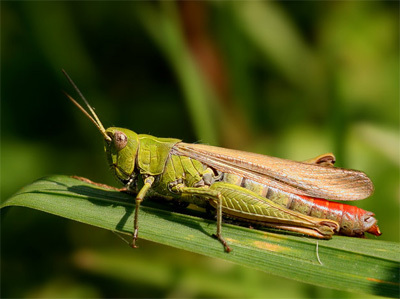 Grasshoppers have antennae that are generally shorter than their body and short ovipositors. They also have pinchers or mandibles that cut and tear off food. Those species that make easily heard noises usually do so by rubbing the hind femurs against the forewings or abdomen (stridulation), or by snapping the wings in flight. Tympana, if present, are on the sides of the first abdominal segment. The hind femora are typically long and strong, fitted for leaping.